You see ‘a GP;’ a role who is there at your service to sort out your healthcare needs. WHO is on the other side? Do you know? Can you see? What do you see? You had to wait to be seen. This annoyed you. What on earth is the GP doing? You grumble as you go in to be seen. 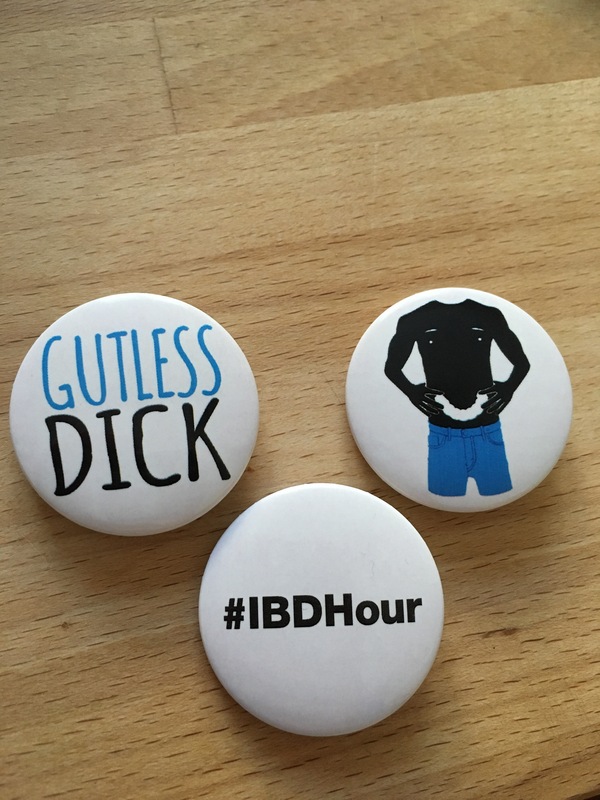 So I’ve got me some badges made to promote/ suppprt the blog and IBDHour – once I’ve worked out postage costs they will be available, so if you like what you read then please consider buying one! Anyway, in July my family and I are goign to be raising money for Crohn’s & Colitis UK by taking part in there WalkIT event in Bristol – if you’d like to sponsor us, you can do so here. The charity produce great literature about IBD, as well as funding research into the conditiona nd treatments. They also campaign for more IBD Nurses and better singage on disable toilets, among other things. I’m putting together a new poem about what people with IBD or any chronic or invisible illness really mean when they say ‘I’m fine’ in response to the question in the title. If you would like to get involved please comment or message me!